Luckily for us, Orion is by no means a picky eater. He’s actually pretty adventurous, and if we take him out to a restaurant, he’ll eat anything we’re eating. He didn’t even bat an eye at the soup dumplings we shoved in his mouth at Mission Chinese Food on a recent trip to New York City. So far he’s eaten pickled salmon, smoked yogurt with pickled beets, fresh ramen, grilled Dungeness crab, brisket tacos, fried pork skins, biscuits and gravy. The list goes on. While Orion will eat pretty much everything you point his way in a restaurant, it’s a different story when we get home. The thing we’ve really struggled to get Orion to eat is meat. As soon as we put it in his mouth, it comes right back out in no uncertain way. So we’ve had to find sneakier ways of getting him to ingest protein. Besides hiding it in a grilled cheese sandwich or quesadilla, we’ve found other means of getting protein into his diet. We’re pretty much stuck with eggs, nuts, soy, and beans. The good news is that Orion loves eggs, beans, and any nut butter you can find. 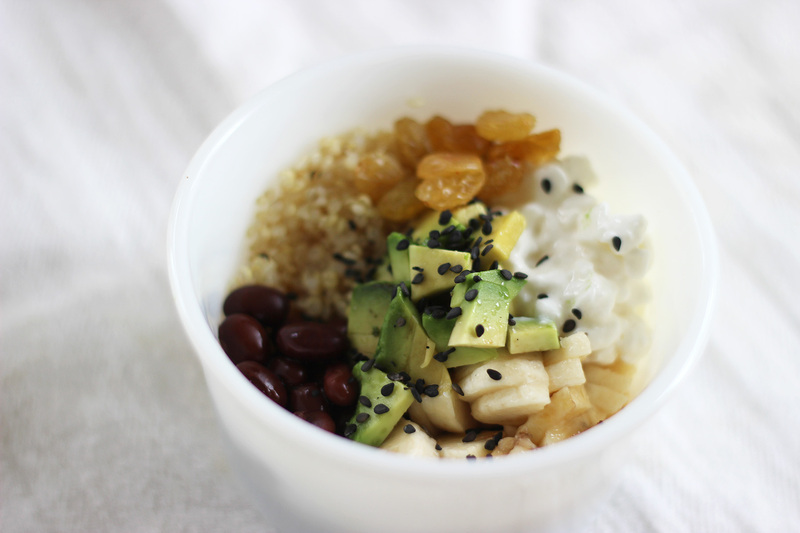 I thought for our first kids’ meal recipe I’d share a super simple quinoa bowl that I’ve been turning to more and more. It’s a good protein-rich base that’s easily adaptable based on whatever vegetables I happen to have on hand. Plus it incorporates Orion’s favorite food of all – BA! (banana). We all have our comfort foods and one of mine is homemade fried rice. Fried rice is something I never eat in a restaurant though growing up in New York it was a mainstay in our routine Sunday evening Chinese delivery spread. When I think about what to cook for my daughter, two questions come to mind: is it balanced and would I feel good eating it. 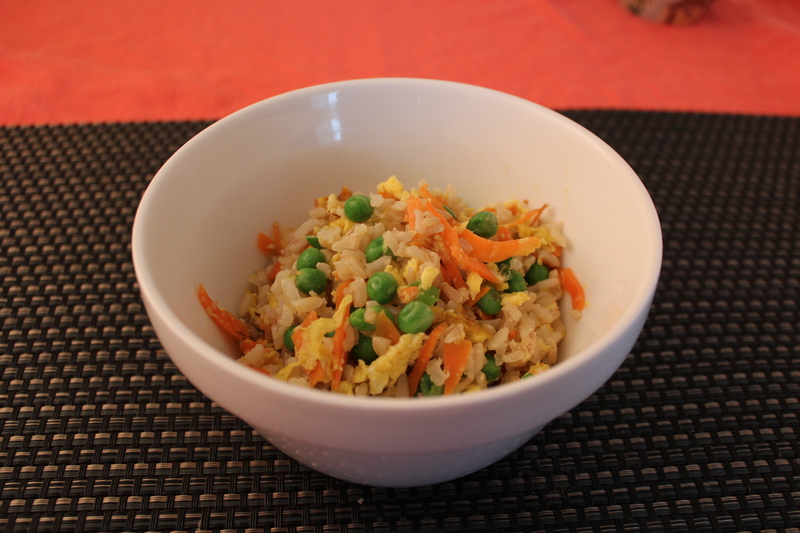 Homemade fried rice is a resounding yes! What I mean by balanced is whether is contains protein, veg and starch and in this version, I’ve got egg for protein, carrots, peas and scallion for veg, and cooked brown rice for a starch. As for the second criteria, I know I’ve met that one when I find myself scraping the bits off the side of the frying pan. When cooking for children we know that time is of the essence – we’re all familiar with the “I’m not hungry, I’m not hungry, oh wait, I’m STARVING!! !” routine. Perhaps the greatest gift this dish has to offer is how fast and easy it is to make. That’s assuming you have some cooked rice in your fridge, which we always seem to have. 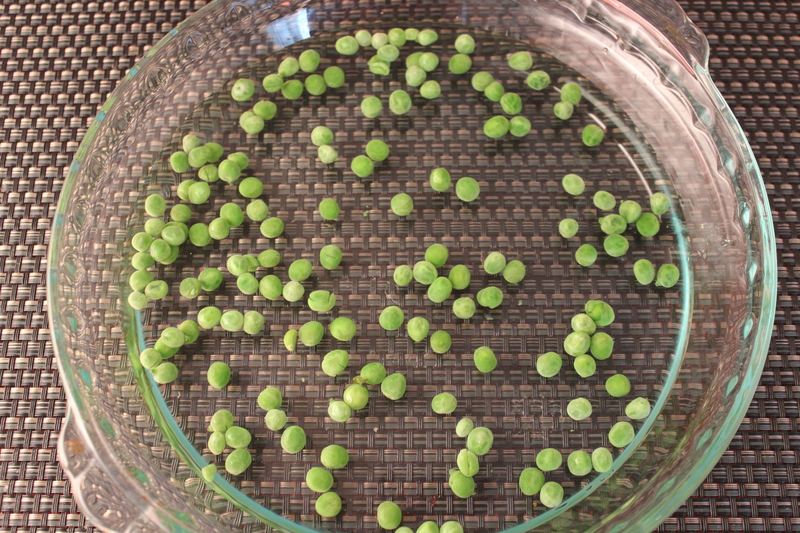 Peel a carrot, throw some frozen peas in water, scramble an egg in a frying pan and toss the rest of your ingredients. Done!